Sleep Apnea is a condition that can wreak havoc on an otherwise healthy body. Interrupted sleep can cause serious health complications, from heart failure to high blood pressure, and can result in daytime sleepiness, irritability, confusion, and even depression. All of these conditions take a toll on your overall health, and that’s why it is absolutely vital that Sleep Apnea sufferers receive a proper diagnosis and treatment from a medical and dental professional. At Sleep Rehab, we know paying for Sleep Apnea therapy can seem overwhelming, and that’s why we’re happy to share good news: Sleep Apnea diagnosis and treatment is covered by most medical insurance providers. Learn more about Sleep Apnea and your health insurance in Plano, TX today. Finding relief from your interrupted sleep requires successful diagnosis and treatment of Sleep Apnea. Diagnosis is performed with a sleep lab test, which can be performed at a sleep center or with a Sleep Rehab home test. In a sleep lab, patients are connected to sensors which detect sleep disorders. 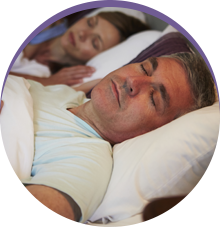 Sleep Rehab uses level three home sleep testing that is interpreted by Board Certified Sleep Medicine physicians. After you receive a diagnosis for Sleep Apnea, that’s great news. A proper diagnosis means relief is in sight -- now it’s time to determine how you can get help paying for your Sleep Apnea diagnosis and treatment with medical insurance in Plano TX. Obstructive Sleep Apnea is the most common form of the condition, occurring when the soft tissues of the mouth block the proper flow of air during sleep. 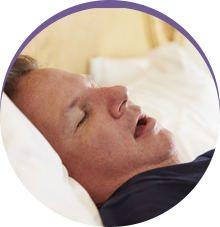 Because obstructive Sleep Apnea can trigger or worsen a variety of serious health complications, prompt diagnosis and treatment of the condition is necessary for continued health. Obstructive Sleep Apnea is a recognized medical condition and, as such, its diagnosis and treatment is partially or fully covered by most private insurance plans. So how can you find out if your medical insurance plan will help with your treatment for Sleep Apnea? It’s as simple as a phone call. Contact your insurance provider to discuss your coverage for sleep breathing disorders. Medicare coverage for sleep lab testing is greatly increasing, too. After meeting your Part B deductible, Medicare pays 80 percent of sleep lab testing. The remaining 20 percent is paid either out-of-pocket or through your supplemental insurance. Whether you have a sleep test performed by us, or have already had a test completed, we will provide you with the best healthcare solutions for your sleep breathing disorder. And with insurance for sleep apnea in Plano, TX, affording your treatment has never been easier. 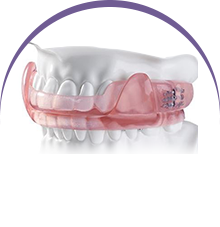 Contact us today and see how we can help with your Snoring or Sleep Apnea.